Hyundai i30 N Review and Deals 2019 | What Car? 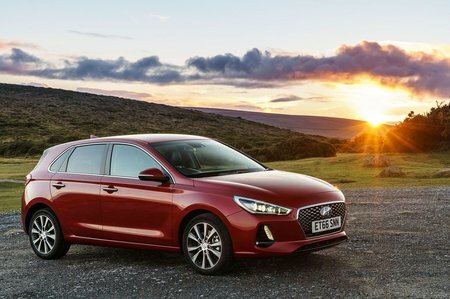 Even the entry-level i30N hot hatch offers more toys than its rivals, including 18in alloy wheels, adaptive dampers, LED headlights, sports seats, red brake calipers, automatic lights and wipers, privacy glass, adaptive cruise control, front and rear parking sensors and a rear-view camera. Plus, you get a fully kitted-out infotainment system with an 8.0in touchscreen, sat-nav, Apple CarPlay and Android Auto, online connectivity and performance features including a lap timer and g-force meter. Safety features are also top-drawer, with automatic emergency braking, a driver fatigue monitor, speed limit display and lane departure warning with lane assist all standard.